Emergency Rooms can be hectic places. The medical professionals who work in them must exercise the same level of care that any doctor or nurse would, despite the added stresses of the environment. When you sustain an injury because of negligent Emergency Room care, you have the right to make a claim for damages. At Harris Lowry Manton LLP, we have a team of medical malpractice attorneys in Atlanta and Savannah our clients can trust. We know how to protect your right to recover compensation when you have suffered an injury because of a preventable medical mistake. When you need aggressive, effective representation, HLM is here to help. The U.S. Centers for Disease Control and Prevention (CDC) reports that there are about 141.4 million ER visits each year in the U.S. Of those visits, 40 million are injury-related, about 11.2 million visits results in hospital admission, and 1.8 million result in admission to a critical care unit. You have suffered damages because of the injury. In a medical malpractice claim, a medical expert will examine the physician’s actions, compare them to the accepted standard, in other words, what any other reasonable emergency room physician would doo given the same circumstances, and determine where the negligence occurred. However, just because a mistake is unintentional, does not mean that negligence did not occur. No surgeon, for example, ever plans to leave a surgical tool inside of a body – but it happens around 1,500 times per year in the U.S. Lack of intent, therefore, does not mean lack of liability. If an ER doctor, nurse or staff member behaves in a negligent manner – regardless of the circumstances – and you are hurt as a result, you may make a claim for damages against the hospital. This is, in part, because of vicarious liability: the understanding that hospitals are responsible for the care of their patients, but also for the upkeep and maintenance of their facilities. If an ER is understaffed, overcrowded, and filthy, and a patient sustains an injury/develops an illness because of any (or all) of those factors, the hospital can be held liable if the injury victim can prove that involved parties were acting within the scope of their jobs when the negligent act occurred. To put it more simply, if a person develops an infection because the surgical tools were not properly sanitized – either because the sanitizing machine malfunctioned, or because someone failed to properly sanitize those instruments – then the hospital, which is responsible for ensuring that patients are treated under sanitary conditions, is liable for any damages the patient sustains. What are some common types of Emergency Room errors? (c) In an action involving a health care liability claim arising out of the provision of emergency medical care in a hospital emergency department or obstetrical unit or in a surgical suite immediately following the evaluation or treatment of a patient in a hospital emergency department, no physician or health care provider shall be held liable unless it is proven by clear and convincing evidence that the physician or health care provider’s actions showed gross negligence. (4) The circumstances surrounding the delivery of the emergency medical care. If you were the recipient of sub-standard care and you suffered an injury because of it, our experienced medical malpractice lawyers are here to help you. We can engage the services of the top medical expert witnesses to investigate your claim and identify where medical staff was negligent in your case. We can prepare a case to recover compensation for your losses including medical expenses, lost wages, the loss of enjoyment of life because of your injury, pain and suffering and emotional distress. Because we take medical negligence cases on contingency, you never have to worry about how you will be able to afford excellent legal representation. You never pay a penny in legal fees until we recover compensation for you. Even the consultation to discuss your case and learn your legal options is free. Give us a call right away as there are time limits for filing a claim for damages from medical negligence. We are here to obtain justice for you. Get help for yourself when you have suffered an injury because of Emergency Room errors. 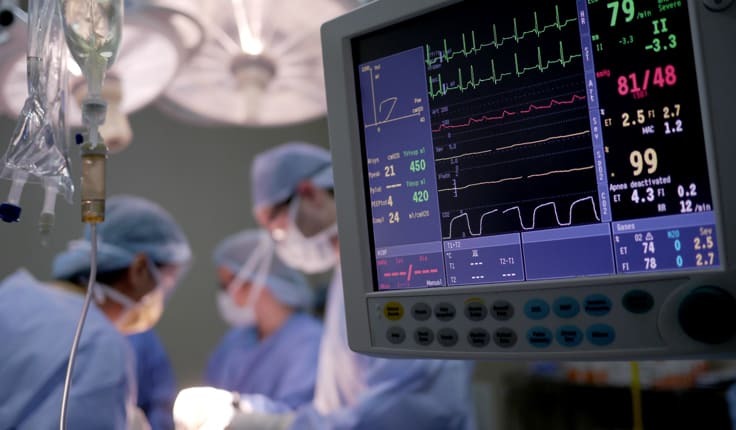 If a medical professional caused your injury, Harris Lowry Manton LLP’s Atlanta and Savannah medical malpractice attorneys have the experience and tenacity to help. For strong advocacy, please phone our Atlanta office at 404-998-8847 or our Savannah office at 912-417-3774. You can also fill out our contact form to schedule a free initial appointment.